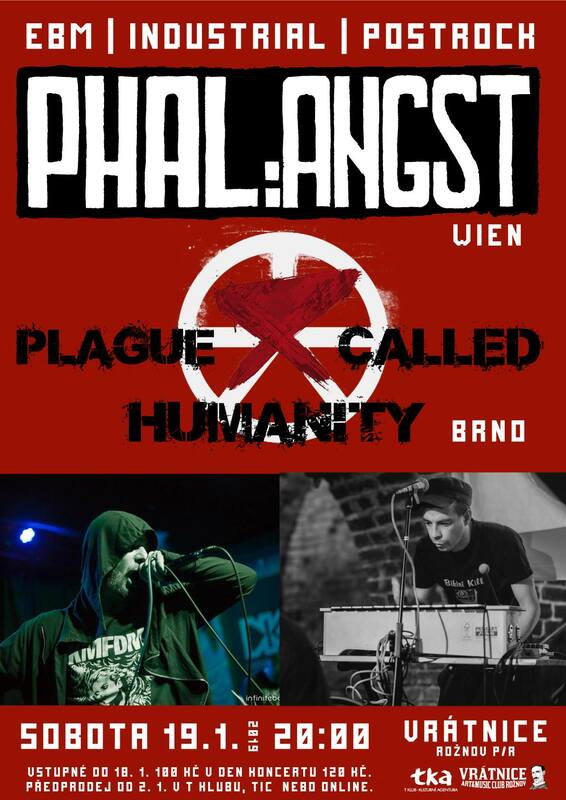 PHAL:ANGST from Vienna started as a jam project of industrial duo PHAL and solo ambient project ANGST in 2006. Since then the group has played countless liveshows, published 3 albums (plus one remix album) and done most of the soundtrack for Saila, a feature film by Julia Ostertag from Berlin. The new album PHASE IV will be published on 28 September 2018. The initial off-the-cuff downtempo breakbeat doom of the first album matured into industrial and postrock on the following ones. Transitoriness is PHAL:ANGST’s driving concept. The abyss of human existential dread and urban dystopia rock in harmonic unison. Drone, industrial and ambient congress between ashes and debris. The sound is inspired by Earth, Bohren & Der Club Of Gore, Neurosis, Front 242, John Carpenter, David Lynch, Swans, Einsturzende Neubauten, Kraftwerk, Godflesh and Isis. Sinister visuals created using found footage, cut & paste and rearrange techniques turn liveshows into multimedia performances. In 2016 the band celebrates their 10 years jubilee and the start of a new bassist. • PHASE IV was released on 28 September 2018. PCH was created at year 2014 and defined thein genre as Cyberpunk (mix beetween EBM and Crust). and release first EP „Disconnection“(2017).